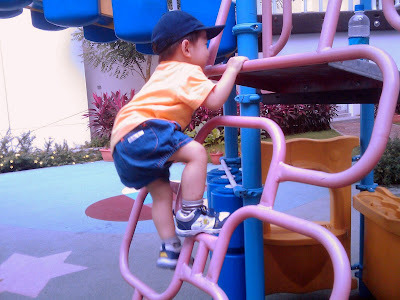 Ethan climbed this ladder in the playground all by himself today! It took a few times of coaching with demos and encouragement from Daddy but he did it by himself a few times after that. He's a fast learner - just very cautious!